Cuba has emerged as an exciting destination among American travelers. 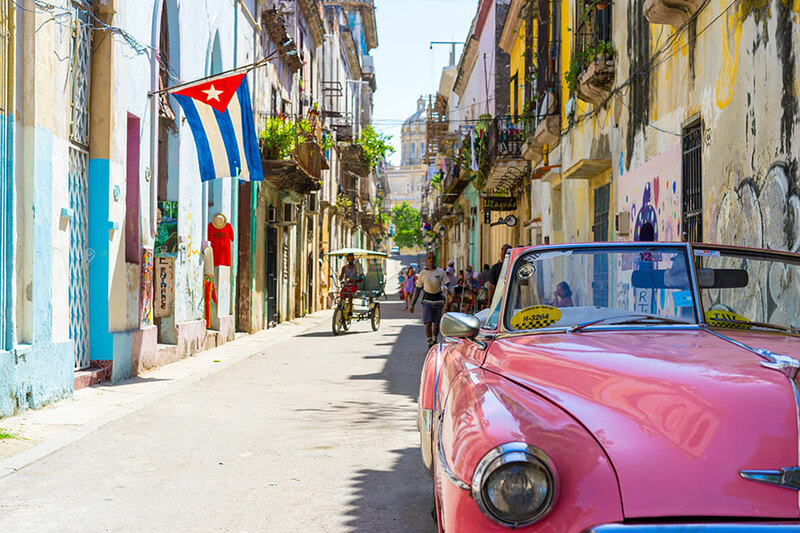 If you are among those who want to visit this vibrant island and are looking for a culturally immersive experience, a cruise to Cuba on one of Azamara Club Cruises’ boutique ships might just be the perfect fit. While it’s a thrilling adventure to plan for, it’s understandable if you have some questions or even have a bit of hesitation about traveling to Cuba. To help ease your mind, we’ve addressed a few common misconceptions and concerns we’ve encountered about visiting Cuba. Is travel to Cuba in 2018 still possible? Yes, travel to Cuba is still possible from the United States in 2018, although the current government regulations make it harder for individuals to travel independently By offering people to people educational and cultural excursions, cruise lines can bring U.S. tourists to Cuba. Yes! Cuba feels very similar to any other tourist-friendly Caribbean island. People are warm, inviting and love to share their culture. We work with reputable cruise lines like Azamara Club Cruises who are experienced tour operators. For them, your comfort and safety is of highest priority. While there are nice hotels in Cuba, they tend to lack Wi-Fi and other amenities and comforts. Current U.S. travel restrictions also make it harder to spend money at hotels, if they are considered supportive of Cuba’s military. This is why traveling by cruise ship is such a great option. You can spend each night in luxury, while enjoying endless opportunities to go ashore and explore Cuba. Is it expensive to fly there? Unfortunately, international flights to Cuba have skyrocketed in cost. However, cruises from the United States depart from Miami, so you can fly domestically into Miami, and from there, travel to Cuba in absolute comfort. Once on the island, prices are extremely affordable. The travel regulations seem confusing. Are they? True, they can be a bit difficult to understand and keeping up with the latest changes can be challenging. However, when you travel with Cuba tour operators, full compliance with government regulations is built into the package. Is getting a Cuba Visa difficult? No. In fact, Azamara will take care of your Visa requirements onboard for a fee. To be honest, the infrastructure still presents a challenge. However, as part of an organized tour group, your tour operators will handle all the transportation details. Traveling by cruise ship is also one of the easiest ways to travel from city to city – and you get to see more of the island. For other questions about Cuba, check out our Cuba FAQ page. Touring Cuba by cruise ship can really enhance your overall travel experience. It eliminates the need to fly into Cuba. It eliminates the need for renting a car or hiring a driver. It eliminates the need for finding a hotel. And, it eliminates the need to go in search of reliable Wi-Fi as Azamara offers Wi-Fi onboard their ships. Instead of worrying about the details, Azamara Club Cruises takes care of them for you, freeing you to embrace this stunning Caribbean island. It’s complex history, rich culture, and welcoming people will fascinate and delight you.